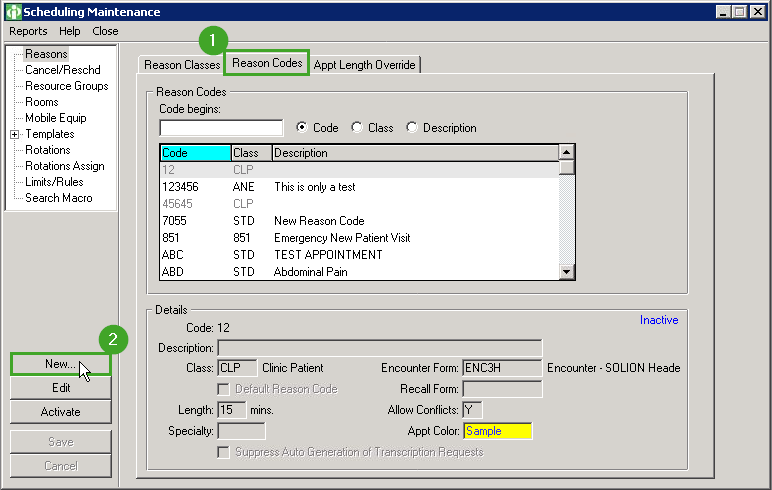 Creating a telemedicine reason code in Intergy can be done in 4 easy-to-follow steps! In Intergy desktop, click "Setup" then "Scheduling". Tip: If you don't have access to the "Setup" or "Scheduling" links, contact your practice administrator. Click the "Reason Codes" tab at the top, then click "New". In the New Reason Code window, enter the "Description" as Telemedicine. Tip: Only the Description is required to sync with the Chiron Health platform. You can customize the rest of the Reason Code to your liking.